Snowfall Warning: A strong storm is heading towards Quebec and no one will be immune to it! - ViralDoozy Your source for Celebrity gossip, latest Entertainment news and Viral stories. Home Trending Snowfall Warning: A strong storm is heading towards Quebec and no one will be immune to it! Snowfall Warning: A strong storm is heading towards Quebec and no one will be immune to it! In case you are planning to take the road on Friday morning, we have some advices for you. First of all, make sure you have snow tires on your vehicle, but also, plan to leave a little earlier than usual, because everything indicates that it won't be easy on the roads tomorrow morning! The reason? A lot of snow is expected and for the south, there is even heavy snow with rain. 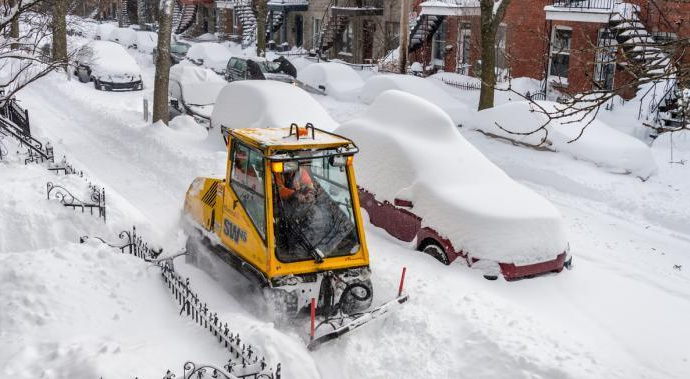 It is because of the advent of a low-pressure system with a significant drop in pressure that certain sectors of Quebec should be getting a weather bomb that promises to be worthy of the name. As we all remember, over the weekend, we were treated to a lot of heavy snow and strong winds, but that was only a first impression of what was to come because the coming of this second low-pressure system will complicate things in a very significant way! Tuesday Wednesday going to mark a short break from the bad weather and let's hope that everyone had a good time, because this break will be for a very short period of time. It is therefore during the night from Wednesday to Thursday that things will become more difficult with the coming of this second low-pressure system. Abitibi-Temiscamingue should have less snow, less than 5 cm, than any other region. In the southern part of the province, not only is there likely to be a lot of snow, but it should be accompanied by rain as well, so we can already predict that road conditions will not be very agreeable during the peak hour. Later in the day, the low-pressure system will affect the central and eastern parts of the province and therefore, the areas most likely to be affected by heavy snowfalls will be the Saguenay-Lac-Saint-Jean and Quebec City. It is expected that snowfall will exceed 15 cm. At the end of the day, it will then be the turn of the Outaouais and Montreal to be affected by the precipitation. It should be noted that this precipitation is expected to reach its peak during the night. On Friday, it is expected that residual precipitation will occur. As explained by MeteoMedia specialists, we talk about a weather bomb when a "system[...] is strongly reinforced over a short period of time. The criteria for determining this is a drop of at least 24 millibars of pressure in less than 24 hours." Thus, according to meteorologists, it is reported that between Wednesday and Friday, the province will go from "995 millibars to 953 millibars, which is a drop of 42 millibars".This phenomenon will intensify the low-pressure system and result in increased precipitation, in addition to more violent winds than normal. 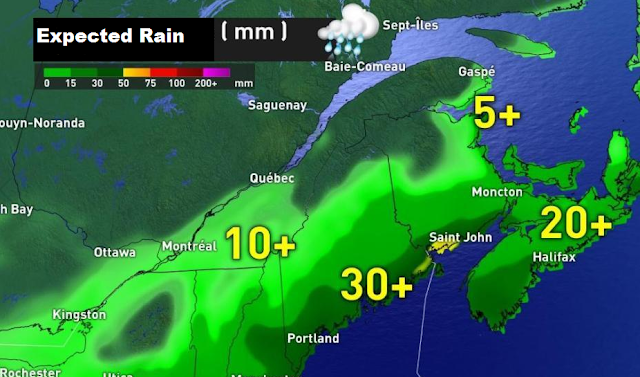 A reminder that on Friday, for the first time in the year, there was more than 5 cm of rainfall throughout the province. Otherwise, some sectors have already passed the 15 cm of snow mark and more! So for those who thought they could escape winter this year, that will be for another year!